IMMACULATE! 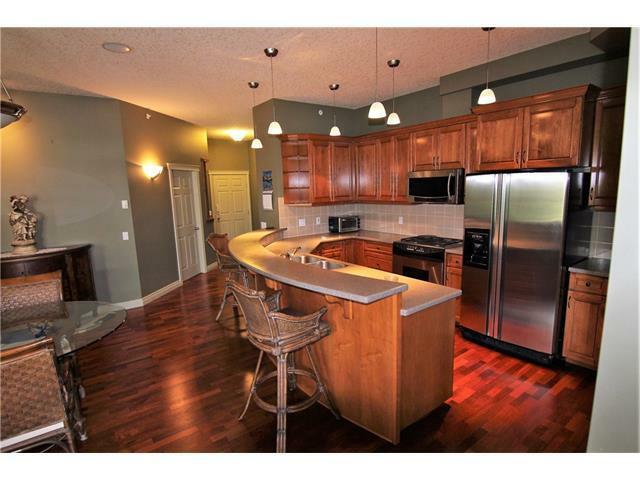 Large Penthouse unit with unobstructed views overlooking Shaganappi golf course & downtown skyline. 2 bdrm & 2 bath unit comes with 2 titled parking stalls, storage locker. Gleaming Brazilian hardwood thru-out the entire unit. Open concept from kitchen to living & dining room. Two-way fireplace in living room with French door going to huge deck with gas outlet. Gourmet kitchen features custom maple cabinets with circular eating bar. 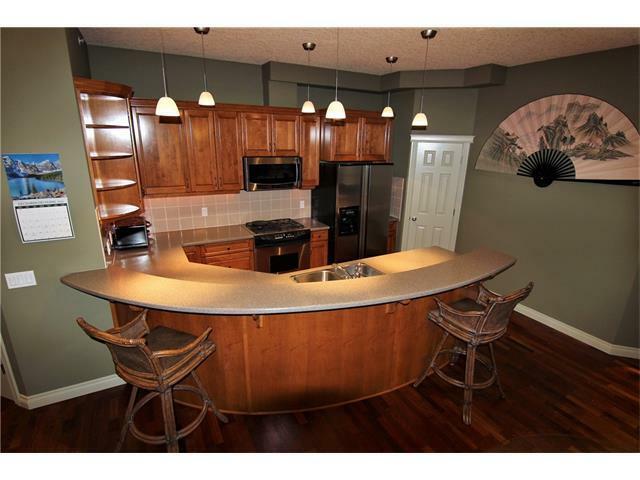 Corian counters, corner pantry, upgraded stainless steel appliances. Gas stove, built in microwave, upgraded fridge, Bosch dishwasher. 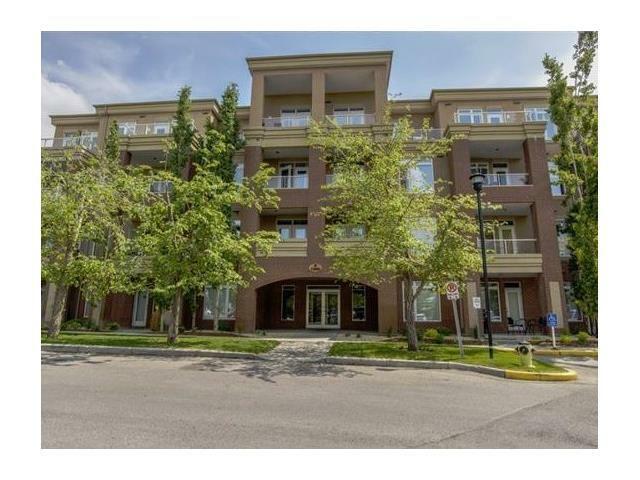 Upgrades throughout entire unit including knock down 9 ft. ceilings, Custom maple built in shelving & desk, alcove in entrance & double doors to large walk in closet in entrance. Built-in entertainment unit with wired-in music throughout unit & on deck (over $15,000.00), 2 way fireplace. 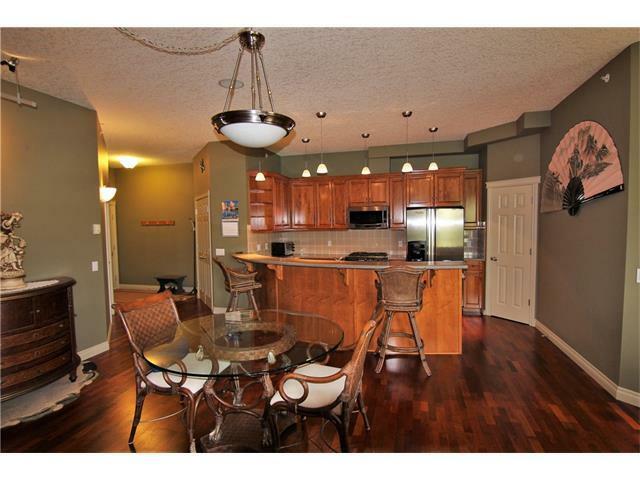 Large master bdrm features HUGE walk in closet & 5 pce ensuite. Enjoy the spectacular views from bed!